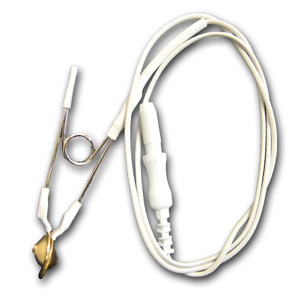 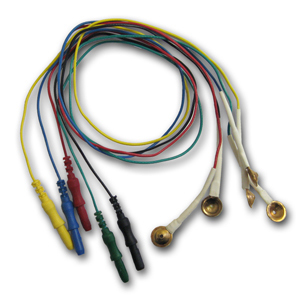 18" Gold Cup Electrodes - BrainMaster Technologies Inc.
DIN to 9mm Gold Cup EEG leads. 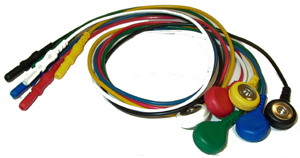 18″ in length and sold in sets of 5. 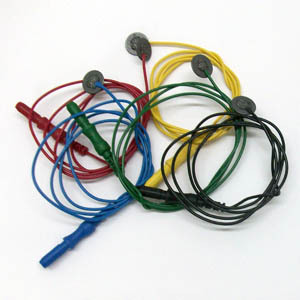 1 Blue, 1 yellow, 1 black, 1 green, and 1 red colored electrode in each package.